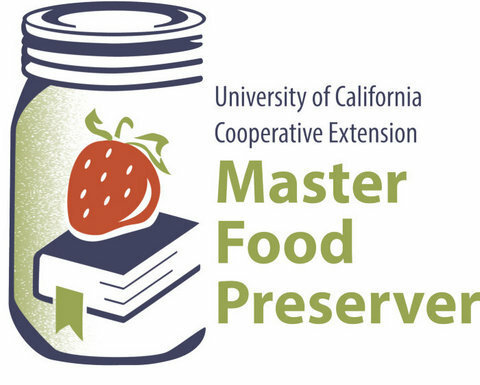 Jackson, CA...Are you interested in becoming a certified UCCE Master Food Preserver volunteer and teaching others how to preserve food at home? Apply for the next volunteer training program in Jackson starting in February. While experience with canning and drying food is a bonus, it isn’t required. Want to learn more? Visit our website at http://ucanr.edu/be_mfp and join us at one of our three training program overview meetings on December 9, January 7 or January 13 in Jackson at the GSA Building, 12200 Airport Road. At these one-hour informational meetings you'll learn about the mission of the UC Master Food Preserver program, the educational events we provide in our community, the training required to become certified, and the annual requirements for active members. RSVP by calling 530-621-5528 or email Robin at rkcleveland@ucanr.edu. It is the policy of the University of California (UC) and the UC Division of Agriculture & Natural Resources not to engage in discrimination against or harassment of any person in any of its programs or activities (Complete nondiscrimination policy statement can be found at http://ucanr.edu/sites/anrstaff/files/192438.pdf) Inquiries regarding ANR’s nondiscrimination policies may be directed to Linda Marie Manton, Affirmative Action Contact, University of California, Agriculture and Natural Resources, 2801 Second Street, Davis, CA 95618, (530) 750-1318.
information about our local program, visit http://ucanr.edu/mfpcs. Big Trees Market Weekly Ad for March 21-27! Don't Miss Alchemy’s Last Annual Tuesday Night Beer Dinner! Angels Food & Sierra Hills Markets Weekly Ad Through November 8th! Swing By The 5th Annual "Wines On Main"
Market At The Square With Keno Rojas & Much More! !